Women fill water from one of the taps at Pipara. “Only seven-10 percent of villages in the area have access to drinking water all year round. There is evidence that more than 70 percent of potable water tanks and wells have dried up this summer. Various studies indicate that women have to spend as long as four to five hours each day to secure drinking water. The scarcity of drinking water has immense health ramifications, one of which is bad sanitation practices that can result in health problems,” says water expert Dr Krishna Murari who works with a non-profit organisation, Development Alternatives or DA that works on eliminating poverty and regenerating the environmental resource base through methods that are highly scalable in India. Bundelkhand is a hilly area in the central India. The area is divided between the states of Uttar Pradesh and Madhya Pradesh, with the larger portion lying in Madhya Pradesh. In the last two decades, the region has experienced acute water crisis and frequent droughts. But in Pipara, which is part of the Niwadi block in Tikamgarh district of Madhya Pradesh, the people have learned the craft of managing their water resources. This is thanks to Sheena Vishwakarma, a woman in her 50s from Pipara, who took the initiative to change the water and sanitation situation in her village with the help from some Self Help Group (SHG) members. “Before 2006, it was not easy for most women in my village to come out of their houses and participate in community development activities. Men in the region did not like women taking critical decisions for the community. Some men in the area, however, encouraged their women to participate in developmental activities that were income generating,” says Sheena. Initially, attending SHG meeting was one way to socialise for the women. 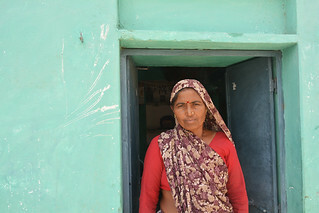 Their family members supported the SHG work as they saw it as an opportunity for additional income. Nobody foresaw that these women and their work would reverse the water and sanitation situation in the village. Now, Pipara's community work has become an inspiration for many women and community members in the area. Sheena is an active member of Ram Raja Tejasvini Swayam Sahayata Samuha, an SHG working in Pipara. Way back in 2005, she got an opportunity to associate with a project by DA during the SHG training. Sheena, along with other SHG members, requested the DA staff to help the women of the village to build necessary infrastructure for water and sanitation. In 2006, the DA staff organised a meeting in Pipara and conducted a detailed survey of the basic services available in the village. The DA staff found the drinking water to be the biggest problem in the community affecting the livelihood of women to a great extent. On the request of SHG members and villagers, the DA staff decided to develop a water and sanitation project for Pipara. The villagers decided to contribute to the project cost by providing free labour services. They also requested DA to support the village financially by providing building materials and essential equipment. The overall cost of providing pipe-water supply to Pipara villagers was Rs 3,35,403. The community and other donors contributed 32 percent of the cost and DA contributed 68 percent of it. “The government helped the community in identifying the water aquifer in the Pipara primary school premises and also dug a borewell for the community. The DA team helped in the overall design and in laying the water supply distribution pipelines. They also bore the cost of the water pump and helped in building two check dams and soak pits in the village to recharge groundwater,” says principal of Pipara primary school, Karan Singh Thakur. The DA installed 20 wat er tap standpoints across the village for 467 households from where the community members fill water for domestic use. The villagers formed a 20-member monitoring committee to maintain the water supply network. The committee decided to charge Rs 15 per family per month as user fees to operate and sustain the water supply system. Due to the frequent power failure in Bundelkhand, the DA team also provided solar panel units to the committee for providing uninterrupted water supply and trained a few members of the committee to perform water quality test on a regular basis to maintain the quality of water. “The men of the village were not happy with the women's leadership or their increased participation in the community development activities. Neither did they give much value to the women’s work. Women struggled to bring the people together for the cause. When a few political groups tried to stop our work, it is the women who mobilised the crowd to send them back. 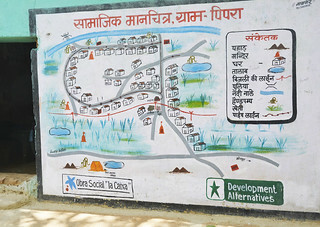 The community members, with the help of district administration, overpowered the power dynamics at the village and the panchayat level,” says cluster coordinator of DA, Rajesh Shrivastav. With the successful implementation of piped water supply in the village, the villagers feel motivated to construct and use toilets. With the increased availability of water for domestic use, the water and sanitation habits of the people have improved significantly. Women struggled to bring the people together for the cause. When a few political groups tried to stop our work, it is the women who mobilised the crowd to send them back. 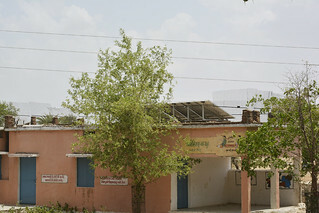 The community members, with the help of district administration, overpowered the power dynamics at the village and the panchayat level,” says cluster coordinator of DA, Rajesh Shrivastav. The seeds of change have been sown. Now it is left to the monsoon to bring it to fruition.